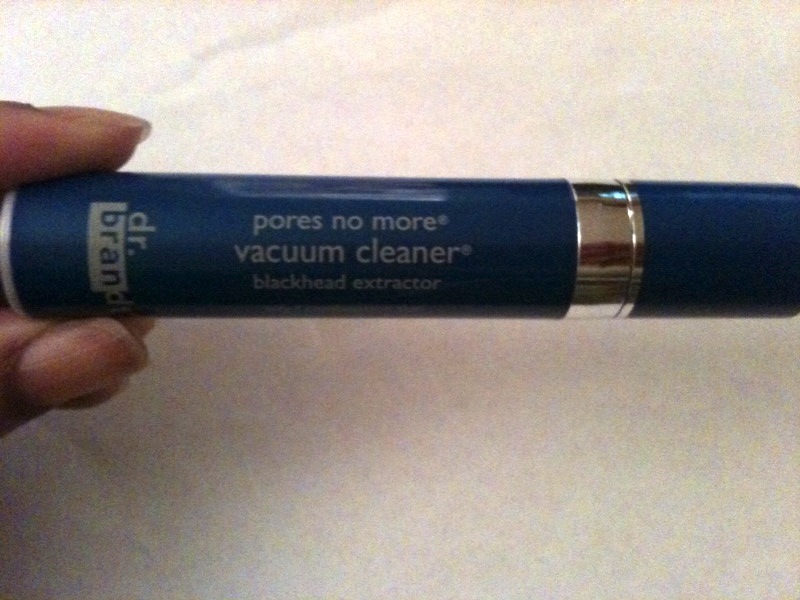 The product that I tested out today is dr. brandt pores no more® vacuum cleaner® blackhead extractor. When you have large pores and oily skin you have to be stringent in your beauty routine in order to avoid blackheads. I usually get routine facials to keep my pores clear and that can get expensive. But I’m also guilty of constantly leaning my hands on my face so facials are pretty necessary. So when I came across this product I decided to give it a shot since it claimed to unclog pores and loosen and remove blackheads. Some of the key ingredients are Eijitsu Rose which is an extract from a Japanese Rose known to help tighten pores as well as Glycolic Acid to exfoliate and soften skin. 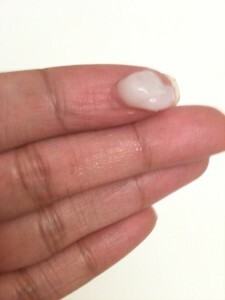 After application you need to leave the product on for about 10 minutes or until dry. While drying, the product felt tingly on my face kind of like the sensation that mint gives, it felt very refreshing and cooling on my skin. When the product is fully dry it turns cornflower blue and then you can then rinse it off. After I rinsed my face off I noticed that my pores appeared smaller AND clearer. I initially tried the product on one side of my face so that I could compare how it felt before and after and I definitely felt like I had exfoliated the side that I used the product on. There was no irritation, no unpleasant odor and a certain marked improvement in my skin so I would recommend this product for those with large pores. Pores no more® can be used 2-3 times per week and best results are seen after four weeks. This one is a winner! Uh Oh. I think I feel a lemming coming on. I totally could use something like this! This might be my next purchase! It totally worth it, I have huge pores and I noticed a difference right away. I just blogged about Large Pores, too. I need this product badly! I’m 33 with blackheads, not a good thing. Thanks for the tip, Nicole! Great product review.I have large pores on my face. I was recommended this product by “myskin” after analyzing my skin profile and results are awesome. Thanks.